What do you do when you’re on the road and can’t review the wines in your queue? You punt! (Hello, it’s football season!) Seriously: what could be better than to try some of the local wines? Instead they suggested house wines: low budget California, French, and Italian bottles we’ve all seen and dismissed in the store. NOT my idea of drinking local! I’ve heard about Canadian wines at #WBC. I know better than this. So I enlisted the help of a few Canadian blogger buddies and asked for their help. Leeann Froese of Town Hall Brands and Valerie Stride of The Demystified Vine came to my rescue, suggesting a few options each, and I went off to the local LCBO (Liquor Control Board of Ontario) to seek out some bottles. And bottles they had, many more than a few! The LCBO was the size of a department store, with several checkout lines ten people deep. They take their drinking very seriously in Canada, it seems! but I digress, let’s get to the wines! Southbrook 2014 Organic Triomphe Chardonnay; VQA Niagra Peninsula, Canada, 13.2% ABV, $20CAD. Color is pale gold. Upon opening, the nose showed excess sulphur up front (and needed a little time to dissipate). Once was sulphur was gone, I was in organic chardonnay heaven. Cave Spring Cellars 2014 Riesling. VQA Beamsville, Bench, Ontario,Canada, 11%ABV, $16CAD. Lily Sparkling Wine by Colio Winery, Ontario. 12%ABV, $16CAD/bottle. I started off my adventure quite nervous about Canadian wine. But as you can see, there is so much to enjoy! I would accept any of these wines in my cellar, at dinner, or to share with friends. And these wines are only the tip of the iceberg. My deep thanks to Leann and Valerie for coming to my rescue when I reached out, and I’m looking forward to sharing more Canadian wines with you! Better late than never, I’m submitting this post as my entry for #MWWC28 for the Monthly Wine Writing Challenge. 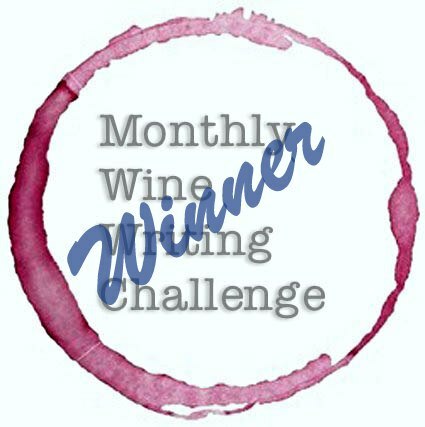 Thanks go out to Beth aka Traveling Wine Chick for the fun theme and Jeff aka The Drunken Cyclist for the MWWC that provides wine writers a warm, friendly, mildly competitive community to enjoy each other’s work! The theme for this month is SMILE. I love this theme. When someone smiles at me, I can’t help but smile back. And when I smile at them, they usually smile back. It’s like sharing an amazing wine with friends. One of the things I adore about wine is finding a wine I like and sharing it. When I pour a taste of a wine for someone for the first time and watch them enjoy it, that in turn gives me great joy. This is one of the reasons why I hold wine tastings for friends and neighbors. It’s also why I bring a few special bottles to wine conferences. We don’t really need more wine at a tasting. There is usually plenty! Sometimes it is simply a great deal of wine. But I like to bring wines I like, so that others can enjoy them as well. I had such fun sharing bottles at WBC. “Here, have a taste!” with wines from areas these people know well, just sometimes haven’t ever tried before. SO. MUCH. FUN! Tons of smiles! It’s even more fun because adept tasters like Anatoli (Talk-A-Vino) have such passionate, emotional, declarative responses to wine, much like art, and you get to hear them wax poetic in person, without deliberate editing into a blog post. It’s so HUMAN. It’s brilliantly fun! Most importantly, it just makes people smile. Look at the smile on these faces. Real people, mostly real smiles. Some people look slightly pained in posing for a picture, but all of these folks were having a good time. We’re people who are passionate about wine- enjoying it, making it, selling it, sharing it. We get together and taste it, and make each other smile, then we laugh! Together, we make the world a better place. I’m excited to read your blog posts, to see your photographs, to hear your tasting notes. And when I see you in person, I’m so excited to hear what you have to say, because being your friend makes my life richer. We make each other smile. And that is a beautiful gift. Hey! Give me your glass- I want you taste this. Just a taste. 2015 Nativo Lodi White Wine, Markus Wine Company, Borra Vineyards. Lodi California. 13.2% ABV. MSRP$18.99/bottle. Pale straw in color; featuring a delicate nose with hints of lychee, gardenia and honeysuckle. On the palate, restrained white peach, lemon-lime zest, starfruit and gorgeous acidity with rigid chalk and stone on the finish. Such a subtle balance of flavors and responses without any of the oppressive heat I’ve found in great kerner wines from Europe, Markus Niggli’s white wine blend will smack you over the head with beauty, convince your mouth it is enjoying a brilliant expression of a $50+ Austrian wine, and make you open your wallet to order a case of this to enjoy whenever you simply want a really well made wine that goes with almost anything. I like this wine even more now that I first did when tasting in the vineyard in Lodi, both times I approached with low expectations and had an eye-opening experience. You will, too. Thank me later- I’m finishing this glass first. Fermented in stainless steel, using only native yeast and no malolactic fermentation, it is a blend of 52% Kerner, 29% Riesling, 15% Bacchus, 4% Gewürztraminer all grown in Lodi’s Mokelumne Glen Vineyards. Dow’s Late Bottled Vintage Port 2011. Douro Valley, Portugal. ABV 20%. MSRP $24/bottle. Sample by Calhoun and Company. Complementing the candy distributed on All Hallow’s Eve is the perfect excuse to open a bottle of port. The haunted holiday offers an ideal pairing, but if you already love port, then there is no excuse needed! Late Bottled Vintage is a port made only in the finest years from each region. So it’s time to talk about Dow’s LBV 2011. Purple edges with a deep hued center, almost black in color. Nose of licorice, blackberry, and eucalyptus. On the palate there is rich, triumphant acidity, muted sweetness on top of black fruit, tart tannin, and a long, juicy finish. Perfect to match the chill in the air and the leftover Halloween Candy, but my favorite sweet pairing with this port would either be Black Forest cake or M&M cookies- with but a sip of Dow’s LBV port, the chocolate is balanced, the sweetness celebrated then muted, and the flavor profile heightened by the pairing. An excellent complement to dessert, the change in seasons, and the evolution of thought. For someone who is fond of fennel but not licorice, the hint and placement of anise in this port wine is so delightful and so perfect in character, I simple can’t imagine not having it. People fall in love with port at various times in their lives. I have always had a soft spot for Jack Kerouac’s On the Road and his relationship with port wine. In Kerouac’s writing, Port seems to be a constant source of salvation, but in reality port is no a literary device: it’s an often-forgotten delight, a window to the other side of the world, and a wonderful palate cleanser. Dow’s LBV 2011 is an example of a wonderful port that is all of these things and more- a deeply rooted, full-bodied celebration wine for the memorial to our departed loved ones, or a simple change of scenery, a new opportunity, a sunrise, and a perfect ending that brings on tomorrow and the birth of a new day. En route to Lodi, I asked a fellow, trusted oenophile for advice: “If you had ONE winery to visit in Napa Valley, what would it be? The answer was one I’d hoped for, but never expected to hear. “Opus One,” was the reply. Seeing it was on the top of my list, I made my reservation, then used my New Yorker’s attitude on myself and insisted I would clear my mind; assume nothing, have zero preconceived notions, and let the experience wash over me like any other tasting. In hindsight, I was right to do so. But in reality, I have to admit, it was a fool’s errand. This is simply NOT just any other tasting. The experience is geared toward the One Percent. Gorgeous lines, limited access, muted colors, hushed voices. I was unfazed. Even after tasting the wine, I kept my composure. I took my glass to the roof and wrote my tasting notes, which is when my restraint began to unravel. The 2010 Opus One. Napa Valley Re Blend. Napa, CA. 14.5% ABV. Deep ruby in color. The nose offers black plum, blueberries, mocha, dark chocolate and green pepper. In the mouth, an exquisite balance. Forward in the palate are blackberry, cassis, rose petals. Secondary notes of earth, clay, and vanilla. Overall response is a beautiful proportion of black fruit atop a bedrock of acidity and mature tannin. Larger than life, expressive, and with a long, delightful finish. When does an American modern wine drink like a classic Old World Chateau? When it is the ideal marriage of old and new world. One of the few masterworks commercially available, Opus One is the premier luxury brand in American wine. There are more expensive brands, more exclusive brands, but this, without a doubt, is the Rolls-Royce of American wine. It merges the ideal of classic and historic French grapes and winemaking with American innovation, modern farming, and production. After inhaling the aroma of the wine for almost half an hour, I had to imbibe. With a classic Opus One, these is no need for a spittoon. If you don’t know Dave Phinney by name, you surely know his work. Phinney’s red giant of a wine star The Prisoner red blend is found in steakhouses around the world, and is also the headliner of The Prisoner Wine Company that Phinney sold to Huneeus Vintners a few years back. Just this past June, Phinney’s Orin Swift Cellars series (featuring popular wines like Papillon and Abstract) was purchased by E&J Gallo as an addition to their luxury brand portfolio. Talk about the secret to wine success! Phinney’s current project is taking his style of winemaking abroad while keeping it affordable. Locations Wine allows Phinney to blend across regions and AVAs, without boundaries or compromise, with MSRPs under $20/bottle. Locations Wine E4 Spanish Red Wine; 14.5%ABV, MSRP $18.99. Sample provided by Balzac Communications. A mix of Garnacha, Tempranillo, Monastrell, a Cariñena grapes were sourced from the famed Spanish wine regions of Priorat, Jumilla, Toro, Rioja, and Ribera del Duero and blended to make E4 sing a story of old vines, low yield, quality grapes than any household can afford. Barrel aged ten months prior to release. Color is deep purple. Nose of black plum and cassis, with hints of rosemary and oregano. On the palate, juicy ripe and concentrated blackberry & black plum are dominant, followed by with green herbs, spice, wood, vegetation and lasting minerality, all deftly placed in this tasty blend. The mid and rear palate are as delightful as the initial rush. The lengthy finish has notes of potting soil, cedar, bitter herb, oregano, and wet stone. Overall impression is a well-balanced wine of obvious Spanish heritage, with spicy upfront fruit matched by a series of notes and flavors, marrying bold flavors with intense heat, powerful acidity and strong tannins. I enjoyed tasting the E4 by itself, for starters. When I paired the E4 with food, I stopped thinking about the specific notes and depth of flavors, and suddenly just enjoyed the experience. To have that transcendence is what wine and food pairing is really about– a seamless boost in pleasure, elevating the relationship of food and wine, making the individual elements better by the complement and combination of flavors. And what about the ability to create wines that make people enjoy themselves and forget why they were tasting a wine in the first place? That is why Dave Phinney is such a tremendous winemaker. Trust me, if you aren’t a fan already, you will be soon enough. This E4 is such a delightful wine, it makes me excited to taste the AR5 (from Argentina) and F5 (from France). Reviews on JvB UnCorked will be coming soon!